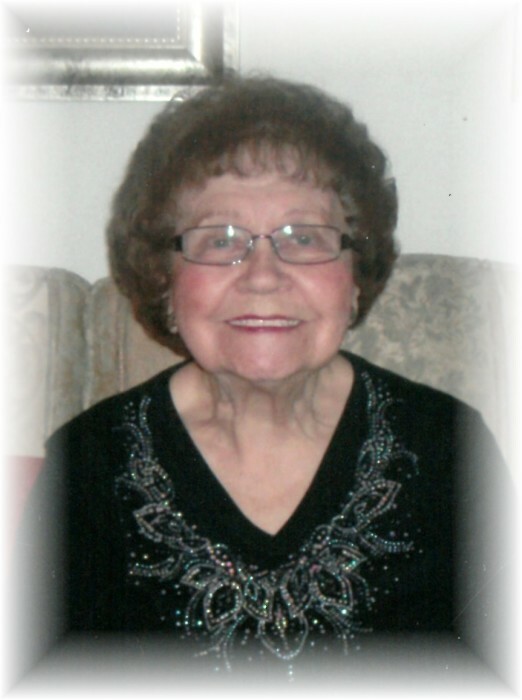 It is with heavy hearts that we announce the passing of our mother, grandmother and great-grandmother with her family at her side. Mary was born on January 6, 1929 in Gardenton, Manitoba to John and Margaret Prokipchuk. Left to cherish her memory are her children, Teri (Doug), Ollie (Ken), Richard (Pat), Orest (Lorraine), Diane (Bohdan), Gary (Susan), and Michael (Patti); two grandchildren, Carrie (Bill) and Brittany (Eldon); and one great-grandchild, Presley. Mom is also survived by her brother Walter and sister Allison. She was predeceased by her husband John, sister Ollie, brother-in-law Paul, brother-in-law Gene Boyko, sister-in-law Mary, and friend Sam. Mom spent most of her life farming in Gardenton with her husband John. She was very active in the local community helping with community dinners, the Gardenton Ukrainian Festival, the Women's League from the Church and the Gardenton Museum. Mom spent the last 21 years living in Winnipeg to be closer to her children and grandchildren. We would like to thank the staff at Seven Oaks Hospital, 3rd Floor Unit for their care of Mom, and a special thanks to Charlie. In keeping with Mom's wishes, a private service was held.